I finished a tunic for Frida last night. I actually started it Saturday, when I met up with two good friends for an afternoon of sewing. Surprisingly, I didn’t get any sewing done that day, because we spent hours chatting away. 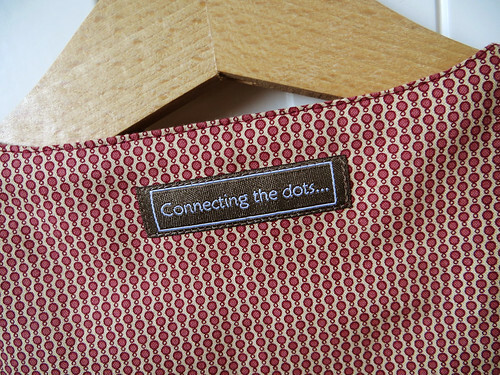 I did look at loads of patterns, though, and when I left in the evening, I had this one traced and cut. 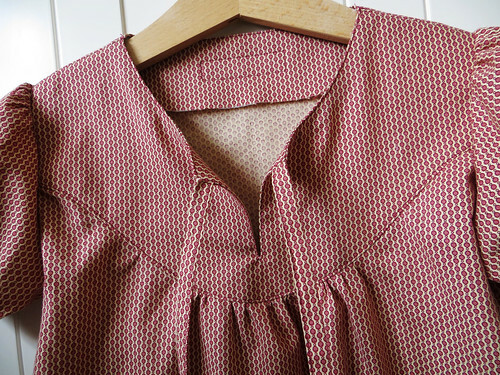 The fabric is from Stof og Stil, and the pattern is the Danish SYmagasin from March 2010. The style is very similar to the Forest Dress that I made last year, and Frida loves that dress. This one however is gathered instead of pleated, and it has ties in the front instead of buttons in the back. And it’s a tunic, not a dress – but that could easily be changed, if you want to. I love this one – pattern, fabric, the lot. If I were to make it again, I would make the ties slightly narrower – tying a bow with these is just a bit tricky, but it’ll be ok. 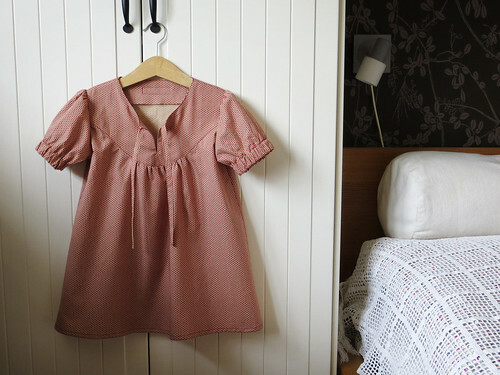 This entry was posted in Sewing and tagged 03/2010, 6 years, 6T, diy, gathered, girl's tunic, ingelise's symagasin, March 2010, Sewing, short sleeves, size 6 years, symagasin, tunic. Beautiful tunic. That fabric is gorgeous! Jeg eeeelsker det stof, altså! Mis hijas son adolescentes pero miro y miro desde marzo su túnica. Tengo que hacer algo parecido para ellas.